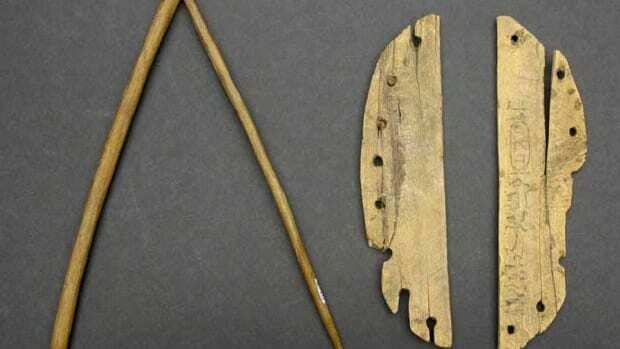 Among the 450 objects related to UWinnipeg’s Hetherington Collection of ancient Egyptian artifacts, UWinnipeg alumnus Luther Sousa was able to identify two wooden artifacts in the collection: one is a miniature hoe, and the other a set of miniature rockers. These objects were symbolically significant in ancient Egyptian culture, and, based on Sousa’s initial research, were likely inclusions in a foundation deposit of Hatshepsut’s temple at Deir el-Bahri*. 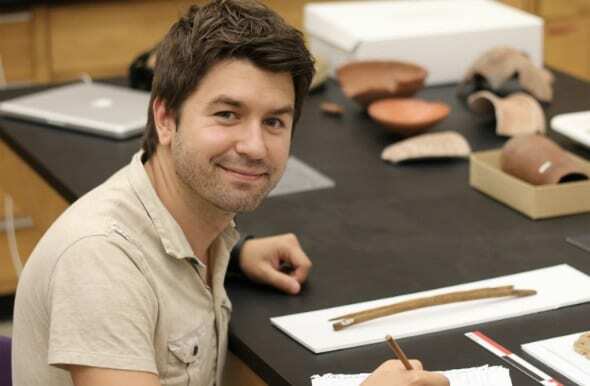 Sousa was able to read the hieroglyphs on the UWinnipeg objects, and then confirmed his identification via a comparison with very similar objects currently held by The Garstang Museum of Archaeology at the University of Liverpool. “This is a remarkable find,” stated the Hetherington Collection’s curator, Val McKinley. “In addition to adding to our understanding of Egyptian history and our institutional history, discoveries like this made by a student are inspirational for other students. The A.E. Hetherington Collection has been at the University of Winnipeg since the early 1900’s. The circumstances of the acquisition of the collection are a mystery, but what is known is that the objects are authentic, and that they were sent to the University in at least two shipments, one in 1903, and another after 1925, most likely through the Egyptian Exploration Society. The objects represent several dynasties from multiple sites and include lamps, storage jars, domestic dishware, stone cutting and scraping tools, bone game pieces, funerary figurines called shabtis, and brass Osiris figurines.